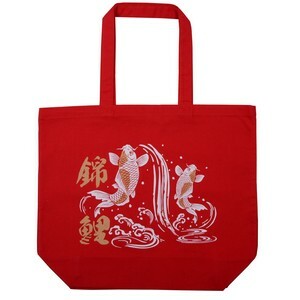 Red cotton bag with a koi fish design. Kanji for Nishikigoi (錦鯉) the formal name for koi. Made in Japan.